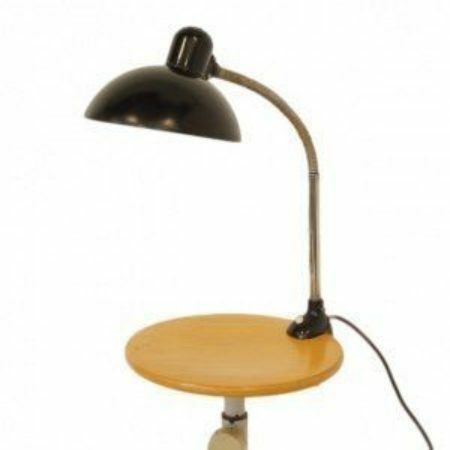 Adjustable Fagerhults desk light, designed in the seventies by Ahlstrom & Ehrich Design (Sweden). Two PL light’s (9w) are hidden in the nicely formed shade. This desk lamp is considering its age still in verry good vintage condition (some usage on the base). Measurements: h x w x d = 52 x x 47 x 25 cm. 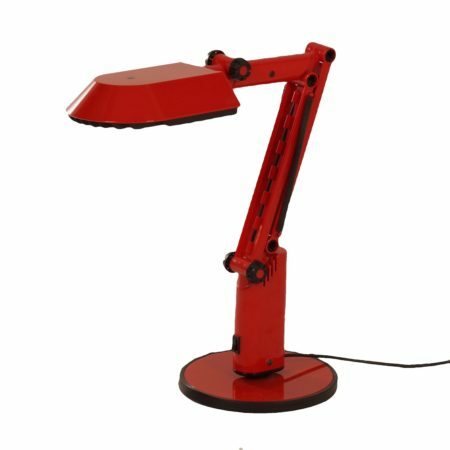 This vintage desk lamp is adjustable from 47 -79 cm (see photo’s). Source: book Struck by Lighting, André Koch page 102. Marked: Fagerhults, Sweden.